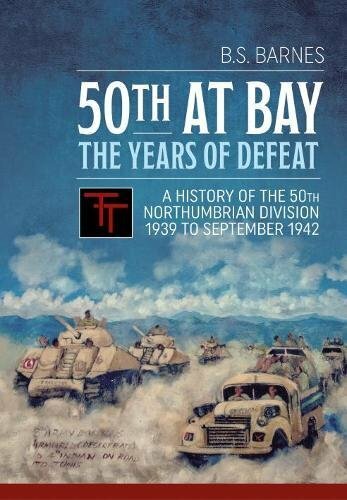 This good regimental covers the history of the celebrated 50th (Northumbrian) Division from 1939 and the Phoney War through the desperate Battle of France, Dunkirk, Defensive activity on the South Coast, shipping to the Middle East, Syria, Egypt, The Western Desert, up to September 1942. 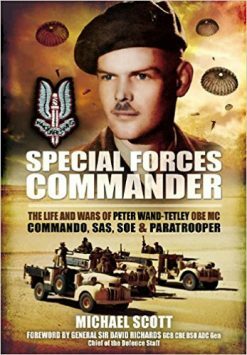 The book begins when war is declared and the Territorials of the 50th (Northumbrian) Division are mobilised before their move to France. Many of these men joined the territorials in the 1930s because they could find no work in the depression and the monthly bounty they got paid, plus a good pair of army boots, were worth a lot to men who had nothing. In late 1939 the division was moved to France in one of the worst winters in modern memory. In May 1940 the war began and the 50th were in the forefront of the fighting as they tried to stem the Blitzkrieg. When the situation became untenable the British army found themselves outflanked and in full retreat to the French Coast. The 50th reached the Great War Memorial at Ypres, the Menin Gate, and fought a delaying action here but soon found themselves retreating again, by now they had lost many casualties. By 19th and 20th May 1940 the whole British Army was in headlong retreat and heading towards Dunkirk with the panzers close on their heels, it was decided that a delaying action was to be launched by the 50th Division at Arras with British and French armoured units in support. It was here at Arras that the 50th would meet their future Nemesis in the form of Erwin Rommel and his Ghost Division. On 20th May the 50th prepared themselves for battle on and around the Canadian Great War Memorial on Vimy Ridge. On 21st May the attack was launched into some very surprised German formations that were just about to move around Arras. The attack was led by tanks of the Royal Armoured Corps and the Troops of the 151st Durham Brigade, 150th Brigade was in Arras itself along the River Scarpe. The shock of the British assault caught the Germans by surprise and the British tanks caused great slaughter among the German units, especially among the ranks of the SS Totenkopft Division who fled the field in terror. 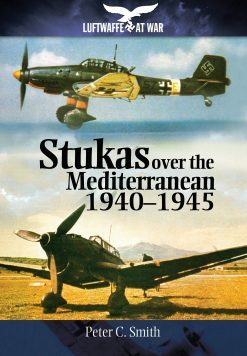 The descriptions of the battle by tank crews and Durhams are outstanding and hair raising, the Germans looked to be close to defeat when Erwin Rommel stepped forward and ordered his 88mm anti-aircraft guns to lower their barrels and be used in an anti-tank role for the first, but not the last time. The British tanks could not withstand their immense firepower and soon the battle-field was strewn with the smoking hulks of British tanks and the dead bodies of both sides. Rommel had saved the day. The retreat now continued in a mad dash to the coast. At the town of Dunkirk and along the beaches the whole British Army waited patiently to be taken home, under constant air attack and artillery fire. By 2nd June the last troops had been evacuated and a very badly beaten army was brought home, men who were there talk of their shame when interviewed, many were never proud of the fact that they were at Dunkirk. The British populace however were just pleased to have the survivors home and the myth of the miracle of Dunkirk took root. For many it was a time of mourning. 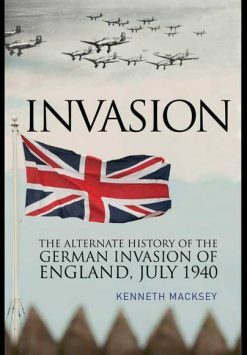 The 50th Division were now reorganised and stationed on the south coast of England in preparation for the invasion that never came. In 1941 the newly reconstructed 50th Division was sent to the middle east, spending a miserable winter moving about from camp to muddy camp. Finally the 50th was sent to the Gazala Line in May 1942, this line was held by the South Africans, the Free French and three brigades of the 50th Division, 150th, 151st and 69th Brigades, plus all the 8th Army’s armoured formations. Rommel needed to break through here and in May began to make his plans. The British Forces were positioned in defensive boxes, each one was supposed to be able to support the other in the event of the expected attack, but most were so far apart that mutual support was out of the question. Lt General Cruwell of the German forces was out reconnoitring the ground in a spotter plane when his pilot got lost and flew over the box held by 150th Brigade, his plane was shot down, his pilot killed and he was taken prisoner. The troops who took him saw only a blood spattered German and had no idea who was in front of them, they handled him roughly and stole his Pour le Merite and a gold ring. 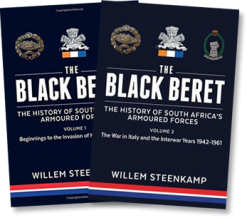 The young officers did not know the rank of the prisoner they had to interrogate and all snapped to attention when his rank was revealed, interviews with these men are featured in this book. In late May 1942 Rommel assembled his panzers, infantry and support vehicles by night, his attack force covered an area of eleven square miles. The plan was to move across 8th Army’s front at night and to swing around the left flank, where the Free French held Bir Hacheim, and to the rear of 8th Army, a classic Rommel manoeuvre. As this happened the men of the 50th Division sat tight in their defensive boxes and waited. Patrols reported large troop and tank movements to the British Front but the commanders would not believe it until it was too late. The Free French at Bir Hacheim were attacked by German and Italian armoured formations and fought a legendary defensive action for over 10 days until they were forced to retire leaving behind them one thousand of their own dead and hundreds of enemy dead, dozens of black smouldering tanks littered the battle-field. The panzers smashed into British armoured units behind the Front Line and still it was not believed by the high command that this was happening, desperate messages came over the air-waves warning of the German assault. Rommel’s forces were now in the rear of the 50th Division who could hear the thunder of battle all around them. The British commanders threw their armour in piecemeal fashion at the Germans and suffered horrendous losses, Rommel’s timetable was slowing down now and he needed to get supplies and fuel for his hard pressed troops. In the face of ferocious attacks by the British armour he backed his units up to the rear of the Gazala Line and formed a defensive crescent of the dreaded 88mm anti-tank guns around his panzers to hold off the British armour. Again and again the British commanders threw their tanks at this screen, only to see them knocked out in their hundreds, so fierce was the fighting in this area that it was christened “The Couldron”. Rommel now turned his attention to the 50th Division and realised that to get the supplies he so badly needed he needed to destroy the 150th Brigade. His tanks and infantry laid siege to this box and launched fleets of dive-bombers against them, heavy artillery fire, plus tanks and infantry. Day after day the battle raged but the 150th Brigade would not yield. After fighting an unsupported defence for five days the situation became serious for the badly depleted 150th. Rommel was so concerned regarding his supplies situation that he personally led one final desperate assault on 1st June 1942, after a morning of the most vicious close quarter fighting the panzers rolled over this doomed position. In Rommel’s diary that night he recalled “The defence was conducted with great skill and determination and as usual the British fought to the last round”. Rommel’s now replenished troops burst out of their bridgehead and put the British to flight, the troops in the Gazala Line got away as best they could with many close calls and near misses. At Mersa Matruh the 50th Division was ordered to make a stand in order that other units could get away and in a very confused situation fought until they could fight no more, Pte Adam Wakenshaw won the Victoria Cross here and lost his life in the process. 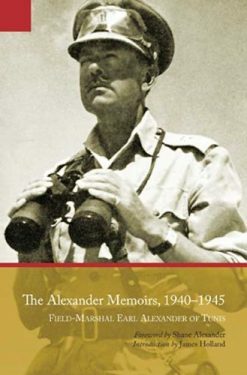 The Gazala Gallop then resumed until at last the 8th Army arrived at the last defensive line before Alexandria, this was to take its name from an insignificant railway siding called El Alamein. The 50th Northumbrian Division had suffered grievously in the Western Desert and in May and June 1942 had taken nine thousand casualties. These years of defeat had seen them transformed into a battle hardened legion of the 8th Army who would become internationally famous in the years to come. This study adds comprehensively to our knowledge of WW2 in a number of ways: Firstly the views of the men involved throw a bright light on what it was really like to fight in an elite infantry division. Secondly it covers events that have not been studied in detail before and shows in no uncertain way the horrors men endured for years if they survived. 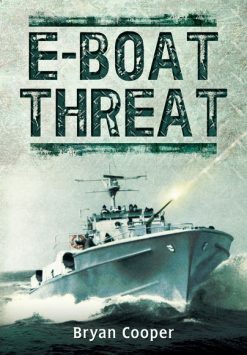 Thirdly: The testimony of the men describes scenes they would not tell their families, from the deaths of friends in action to the terrible things they personally had to do to survive, to men who returned home and had to tell their parents, who knew nothing, what had happened to their brother. Fourthly: the text, illustrations and period maps come together to form a clear view of what the 50th Division really did in those terrible times as seen through the eyes of the survivors.